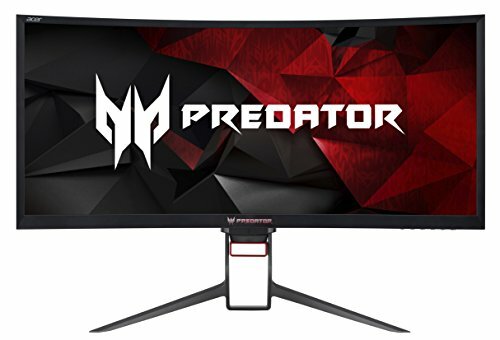 The Acer Predator Z35P has a 3440x1440 resolution, a 100Hz refresh rate, and a wicked asking price. We’re still waiting on Acer to release its show-stopping 4K HDR G-Sync monitor, the XB272-HDR, expected sometime before July. 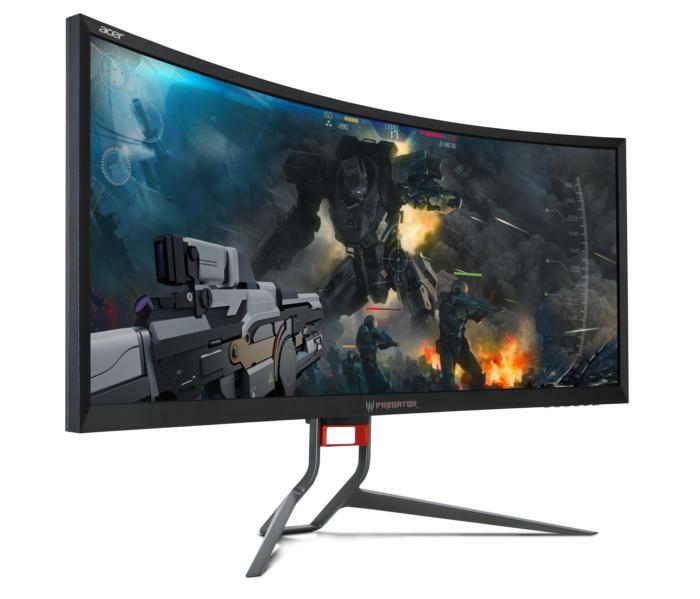 In the meantime, Acer just announced a new ultra-wide curved monitor, the Predator Z35P. The new display is available now for preorder on Amazon with an asking price of $1,100 and an expected ship date sometime in the next three weeks. The Acer Predaor Z35P features a 35-inch vertical alignment panel with 3440x1440 resolution. The display has a 4ms response time, 300 nit brightness, and a 100Hz refresh rate. For signal inputs, there’s one HDMI 1.4 port and one DisplayPort 1.2. On the back it’s got four USB 3.0 ports for peripherals like a keyboard, mouse, and headset. It also has two built-in 9 watt speakers, and a stand that allows for tilt between -4 to 35 degrees. As this is a monitor built for gaming, the centerpiece, besides the immersive 1800R curvature, are the extra Nvidia goodies built in. The monitor comes with G-Sync, meaning refresh rates can be synced between a compatible GeForce GTX card and the monitor. TFT Central reports that the monitor has a boost feature buried in the on-screen menu that lets you up the refresh rate to 120Hz. It’s not clear if that’s the case, but its predecessor, the Z35 (a 2560x1080 monitor), could be overclocked to 200Hz so it makes sense for the Z35P to have something similar. Why this matters: As AnandTech points out, this is a display with few rivals. The only two that truly match it are the Agon AG352UCG and an HP Omen X display. 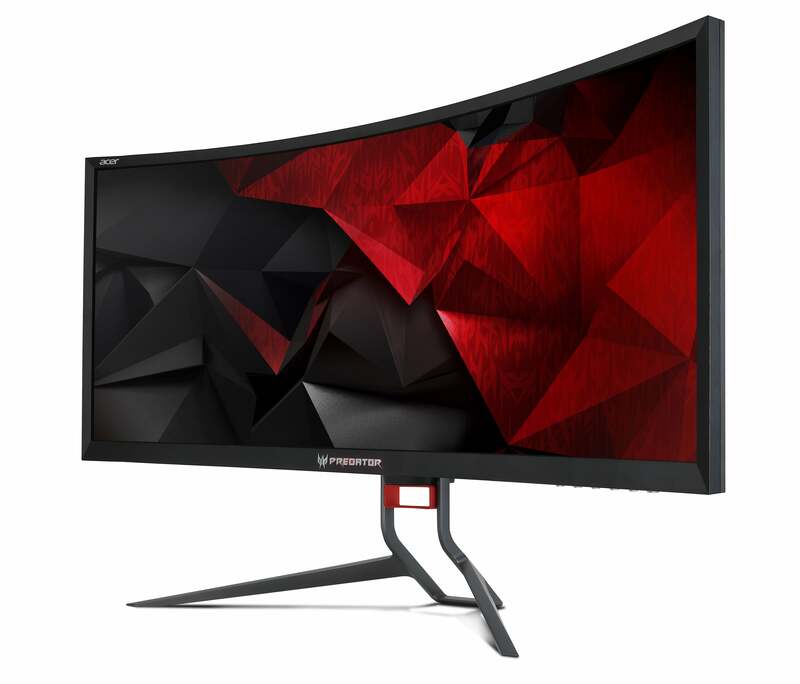 There may not be many people willing to shell out the cash for a UW-QHD curved monitor, but for those who are, Acer’s Z35P adds one more option to the market. UPDATE: In late May, Acer incorrectly announced that this monitor would have Ultra Low Motion Blur technology. After speaking with the company, this article was updated on July 10, 2017 at 2:41 AM Pacific to correct the error.